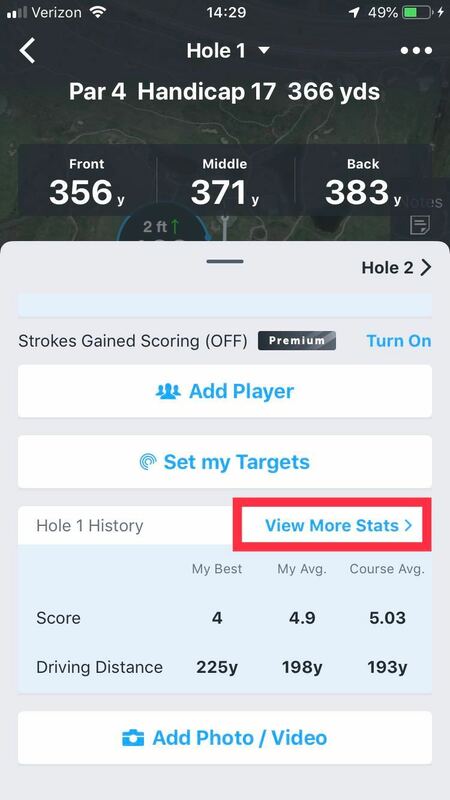 Once a golf round has started, tap the blue pencil next to your picture. Complete the respective statistic categories. Tap Done to return to the hole scoring screen. Get an even more in-depth look into your game with Filters. 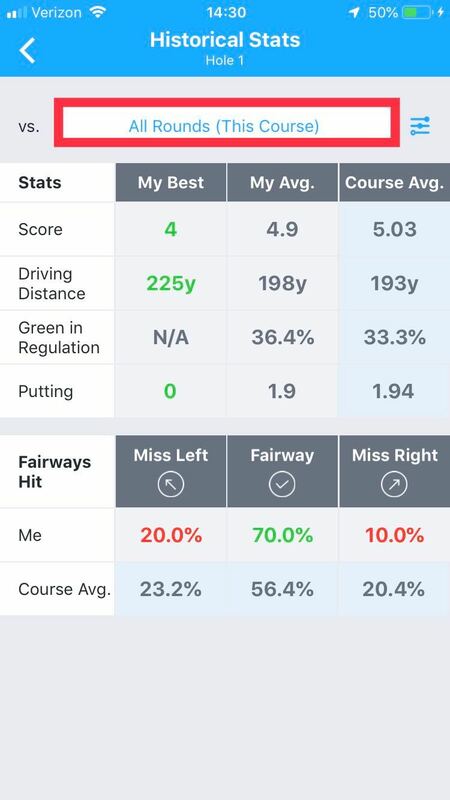 When you have started a golf round, use the Shot Tracking feature to automatically track stats like Strokes Gained, Fairways Hit, Green in Regulation, Putts, Chip Shots, Greenside Sand Shots and Penalties!